Best primary school in Wandsworth? I am curious to know people's opinion about the best primary school in Wandsworth, looking at both the State and independent schools in the area. I would like to take money out of the equation, and simply learn who has the best curriculum, etc… (which might very well be a State school). I’m particularly interested in comparing the following schools: Belleville, Honeywell, Thomas’s, Eaton Manor House, Newton Prep, Broomwood Hall, Oliver House. I find the school selection here overwhelming and I don’t know if it is simply better to send my kids to the local State schools or to go with one of the independent schools. Thanks for your constructive opinions! Re: Best primary school in Wandsworth? It's more a question of where you live. Unless you live within the tight catchment area of Belleville & Honeywell you don't have a chance of getting in. As to the profile of the private schools then search the 'schools' section where this has been well covered with a wide range of opinions. We are in the catchment for both Honeywell and Belleville... which is why I'm particularly interested to learn if the State schools are really just as good (or better) than a lot of the independent schools in the area. Thanks! Wow! This is going to be a hot topic, let me be first to make a comment. Major difference between state and independent is resources. The independents have more money, to be blunt. So... class sizes are smaller, buildings better maintained and there is a general feeling of "polish" about the place. In private schools, its not uncommon for reception classes to have OVER two teaching staff per class (so maybe one teacher plus an assistant plus a floating assistant) for a group of 20 kids. In state, the class might have 30 kids and one teacher. State primary schools in London have very poor sports facilities. Thats not always a problem but if you have energetic boys that might be an issue. Some of the local private schools will be exercising their boys every day. The state schools do not really have a duty to prepare your child for independent exams. At 11 most of the local children who are going for private schools (exceptions are those going for 13 year old entry) will sit a mass of entrance exams. Its a big ordeal and school support and preparation is important. Some state heads accept that many in their school will go down this route and be a bit flexible in terms of approach/advice. Others can be overtly obstructive, seeing that they might be "losing" their best kids to the private sector. If you want your child to go private eventually, and I know not everyone does, you need to have a "plan" for when and how you're going to make that leap. Mock-interviews for ten year olds to prepare them for London Day School entry are essential, where are they going to get that from? The holy trinity of Ravenstone, Belleville and Honeywell are great schools. And there are many many other great state schools in Wandsworth. Do they provide fantastic educations. Yes. Will five year olds care if there are two adults singing "wheels on the bus" in class or one? Of course not. But thats not to say that the independent schools don't bring a huge amount of value, not least if you think that route might be an option at 11. Honeywell has at least one assistant along with a teacher in the class for the young ones and this is probably the same for other state primaries. In addition some schools encourage and benefit from parental involvement in the classroom so this makes the ratio of pupils to adults better than 1 in 15. Also parents aiming to have their kids transfer to private school at age 11 often invest in some private tutoring to supplement what they are covering in their state primary. French tends to be part of the syllabus earlier and to a greater extent in the private schools. As toposhtopush says, sport is stronger in the private schools. Some of the private schools are aiming to get the children one or two years ahead of their state sector peers so teaching seems to be a bit more structured from an earlier stage - but that's just my impression from doing the tours and talking to other parents. Some more traditional subjects are covered in some of the private schools. So Thomas's does Latin in later years for example. For me i dont care if my children get to learn latin or not. I had to learn both latin and greek when i was at secindary school and although it is interesting to know the etymology of our modern lznguage, the lessons were rather dull and children should be outside playing cricket or else rather learning dead languages! For us, we chose to go down the private schools road because small classes are paramount to us (in the school where our children will go is max 19 kids), because of the opportunities to experiment they offer the children (by experimenting as much as possible the child becomes then more curious about the environment), the sports, and finally the teaching of foreign languages. I can speak 3 languages and our children are bilingual so for us this is another paramount point. To answer your question, you should list and prioritise what is important for you and your children and then searching fir the school that will answer your criterias. I dont think you can decide based on what we will all tell you. Good luck it is a minefield, stressfull and difficult. But you ll find something because wandsworth has a great variety of options. You're lucky to be near good schools. The choice is only yours (and later you may have to adjust to your kids'). Between private and state schools, I would go for state schools only if they are good enough. I have a personal grief against private schools, private primary was great, a lot of kids from various backgrounds, but secondary was sad and suffocating. The only black kid in the whole school (from 11 to 18) was an adopted child, everything was tight and miles away from the real world. But some other kids seemed to like it. I wanted out badly. So I'd say : do what you believe in and go where you feel comfortable but keep listening to your child along the way. There isn't a 'best' primary school in Wandsworth -just the best school for you child. 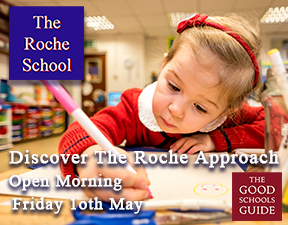 You need to think carefully about your child's personality, abilities, interests etc and then work out which school is the best for for them. For instance a shy, quiet child may feel lost in a large class whereas an extrovert, boisterous one may thrive. A sporty kid may want a school with amazing sports facilities whereas a non- sporty child may feel left out in a sporty school. Asking other people's opinions is valuable but no substitute for putting in the leg work and visiting the schools themselves. You should get a gut feel for each school you see and this is what you should base your decisions on. The most important question to ask yourself is 'will my child be happy here?' 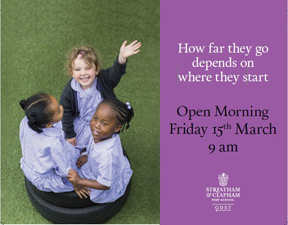 Don't forget also that you need to have registered early for many of the private schools and some are selective so there's no guarantee your child will get a place. Hi, this is sort of related as we are in the process of asking the same questions. I was just wondering whether there is anywhere where you can see similar results to these primary school league tables for private schools to see whether there is really much academic difference in terms of results between state and private. Or do they operate on a completely different curriculum? Are the 11+ results made public for every school? I know a big difference is that private schools will help prep for secondary interviews but that also means just looking at leavers destinations and doesn’t tell the whole story (as maybe finances plays a part in that). Nearly every single child being taught in a Wandsworth school is attending either a good or an outstanding one, according to education standards watchdog Ofsted. A recent report from Ofsted into the quality of schools and teaching in London found that 96 per cent of Wandsworth’s primary schools were assessed as either good or outstanding. This is the capital’s second highest quality rating. Bear in mind that league table results are, at best, an extremely crude measure of how good a school is and at worse, no measure at all. They don't measure whether a school has added value to a child or helped them reach their potential. special needs unit results are not separated from mainstream even though those children could never attain the same levels and the school may have done an amazing job of providing an excellent education. Most importantly for me, the league tables focus on maths, reading and writing. A school that places great emphasis on these might look really good on a league table but the kids haven't had the opportunities to do dance, cookery, music, art etc. I can help a child to do academic stuff so it's all the extra things that I can't do that interest me more but each to their own. As another poster said, you need to work out what you want for your child. Most parents just want their child to be happy - a league table can't help you with that. According to Wandsworth Sheringdale Primary School in Southfields was the best (top) school in Wandsworth based on the criteria they sat which I believe includes sats. 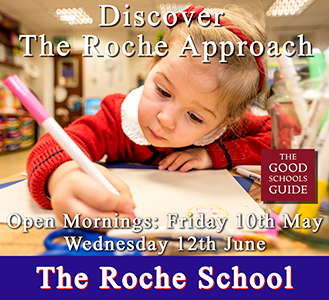 It is an outstanding school according to ofsted.